Every single day we face some form of testing. Every day we are beset with a trial of some kind. Every day God is watching to see what we will do with the time we are given. A couple days ago, I listened to a successful woman talk about how she built her business out of the trunk of her car while she was homeless. Today, she earns six to seven figures every year. While I didn’t agree with everything she said, there was one thing that was spot on—stop making excuses! People have been making excuses or blame-shifting since the beginning of time. Hang on! Jesus didn’t make excuses! Even though He had plenty of times when He could have chosen to disobey or do something different, He did what He was supposed to do and never had to make excuses. After 40 days without a morsel of food, heaven-made bread sounds mighty tempting. Could Jesus have done it? Yes! Would this have please God? No! Did he have a good excuse to turn stones into bread? Well, surely if he was hungry… at least, that’s what we would think. Jesus refused to make excuses. He obeyed God without wavering. 3 times Satan tempted Him and He didn’t budge. He wasn’t going to slip and then make some lame excuse to His Father. How did Jesus resist temptation? You might say, “Well, He was the son of God, wasn’t He? He couldn’t be tempted at all.” He was the Son of God, but He was also in bodily form. He still hungered. He still thirsted. He was still subject to the same emotional and physical discomforts and yes, temptations. In spite of all these things, He resisted temptation with three words. Are you ready to learn the 3 words that need to fill your mind, heart, soul and lips? As temptation strikes, say to yourself, “It is written,” then recall to your mind what God has said on the subject. That sounds an awful lot like an excuse to me. Why don’t you know what to fill in the blank? Because those 3 words aren’t driving you! You cannot bring every thought into captivity, you cannot fight temptation and you will not stand in time of testing if those 3 words don’t motivate you. My people are destroyed for lack of knowledge; because you have rejected knowledge, I reject you from being a priest to me. And since you have forgotten the law of your God,I also will forget your children. We, like the Israelites will be undone if we do not commit God’s Word to our heart every single day for the rest of our lives. We always think we have more time than we really do. I hear about people dying every day. Pixels and ink bring us the last vestiges of people who died in sudden crashes, earthquakes, cancer, heart attacks—all of whom thought they had more time. We only have today. What are you going to do with your time? When you hear yourself make excuses about not having time to read, stop yourself mid-sentence, grab your Bible or your iPad or your iPhone and start reading. 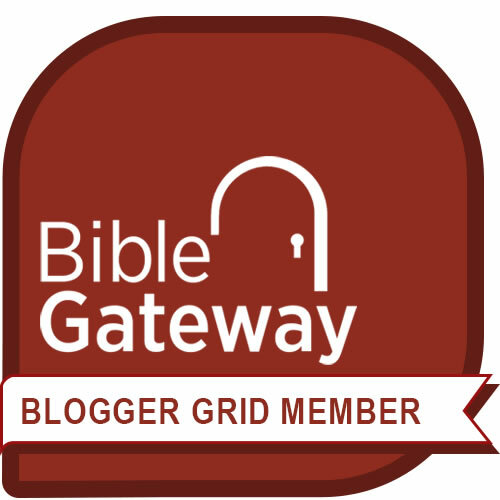 You don’t even need an app, just go to BibleGateway.com. It is urgent! The time to commit the Word to your heart is today, before the next temptation comes your way! Yes, we are covered by grace! Yes, things happen! But those should not be excuses for neglecting the most powerful tool in our arsenal against Satan. Would you go to battle with no weapon? What would Jesus do if He was living in your life, walking in your shoes? He’d make knowing God and meditating on His Word priority one. He’d meet temptation with the Word, ready to say, “I won’t do that because it is Written…” Jesus would pray for wisdom. He’d prepare to wage war against the devils schemes. Today, as you prepare to face whatever challenges lay before you, repeat these three words, “It is written.” Take time on your drive to work or while you’re eating breakfast with your children to start putting the words of God into your mind so you will be ready when the time of testing begins. Previous Post Does anybody care?! Next Post Why are you sleeping? Wow! Amen to the power of “It is written”! Thanks for providing a great way to start my day. May the Lord recall to your mind His encouragement for you today and always. God bless you! I need to read His word more so I can say with conviction, “it is written” and I’m not camping with Datan! I have been learning that the more I fill my mind and my pondering with the things of God, the more the Spirit brings to my remembrance when I need it. A very powerful post. Every day is a battle and we need to keep our swords sharpened! I love all the scripture references. I like what you said about the sword. It was another aspect to this topic that I was thinking about but didn’t write—keeping our “swords” ready. If we know we’re getting ready to go to battle, we get all our gear ready for action. But too often, we approach life as though the battle is far off, when in reality, we are waging battle every hour of every day! I like that! Thanks for another great comment. God be with you! Thank you!! Everything I need, every path through every trial is written in that Book…Thy word is a lamp unto my feet and a light unto my path. Amen! I love that verse too. The Word guides our path through this dark world. Thank you for commenting. God bless!